Update — Huge Victory for Texas: CSCOPE to be Eliminated! Please call or email Senator Dan Patrick and thank him for preserving parental rights by demanding complete transparency in what children are being taught. In sudden turn of events the TESCCC Board decides to end CSCOPE lesson plans. AUSTIN– A letter signed by all 20 members of the Board released this morning stated they will notify their 875 school district clients that all lesson plans will be removed from their website on August 31st, 2013 and that districts cannot use any lessons they currently have beyond that date. The August 31st date corresponds to the notice clause in their contracts with their districts. The letter goes on to say that the Regional Service Centers will not produce lesson plans in the future. The 20 Service Centers will return to their original business plan of providing a management tool for teachers to stay on schedule regarding the teaching of the required TEKS. The official vote will take place at an already scheduled Board meeting on Friday, May 24th. “I’m pleased that the CSCOPE Board has made the decision to get out of the lesson plan business. This is a positive development for students, parents, teachers, and for the Regional Service Centers,” said Senator Patrick. “I want to thank the members of the Senate Education Committee for their months of work on this issue. I also want to thank Attorney General Abbott and his staff in providing valuable assistance in our review of CSCOPE,” added Patrick. “We would like to thank Senator Patrick, Senator Duncan, and members of the Senate and House Education Committees. Their leadership has been invaluable and we look forward to a positive relationship in the future. We believe that this is the best decision moving forward; and allows us to continue to provide high quality services to the more than 1,000, school districts and charter schools in Texas,” said Kyle Wargo, Board Member Region 17 Board of Directors and Anne Poplin, Chair, TESCCC. “We accept the concerns expressed by the leadership of our state regarding segments of the lessons that were perceived as contradictory to the values of our great state. We will therefore eliminate the model lessons offered as examples of what was interpreted as the intent of the standards and focus on moving forward in a positive manner,” said Mary Ann Whiteker, Superintendent, Hudson ISD. Thursday’s Texas State Senate hearing was a huge success for parents and teachers who’ve been fighting to stop CSCOPE, a computer based curriculum source being used in approximately 80% of Texas school districts. CSCOPE is being provided through several Texas Regional Education Service Centers. 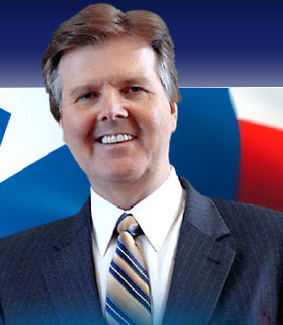 In addition to finding CSCOPE to be “troubling” and “a mess”, Education Committee Chairman, Senator Dan Patrick, slammed CSCOPE representatives over a particular lesson provided to educators that refers to our founding fathers as terrorists. Although this is a big step toward taking back Texas schools, it’s only the beginning. As I wrote in Texas CSCOPE Part of a Nationwide Progressive Indoctrination Scheme, CSCOPE is just one arm of a nationwide network of organizations that have already infected over 2,000 U.S. schools. Nonetheless, the women behind the fight against CSCOPE have the right idea — start local and start with what you can prove. They pressed the education centers that provide CSCOPE to local schools, contacted teachers, and alerted school board members, state legislators, the media, and the public. Now that the agenda has been exposed, it can be stopped — one radical teacher at a time, one school district at a time, one so-called education reform organization at a time. Please go to Take it Back! to find schools, districts, and organizations indoctrinating in your state and for a list of resources and suggestions on how to protect your children and take back education in your area.